Whole almonds and dried cranberries combine to create a snack that’s both sweet and satisfying. Naturally packed with vitamins and antioxidants. 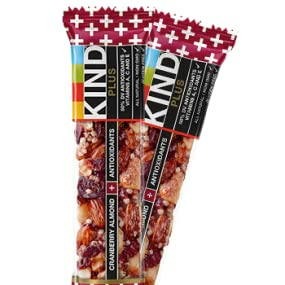 Made from only the highest quality wholesome ingredients, KIND snacks are as delicious as they are healthy. Whether you're at the gym, at the office, or on-the-go, you never have to choose between health and taste.